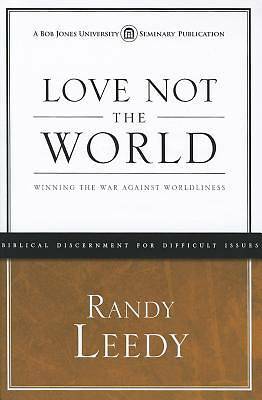 Love Not the World by Randy Leedy (PhD) discusses how believers can live in the world without being a part of the world. Leedy examines pertinent biblical terms and includes Scripture verses that can help believers discern the world and its subversive influence. For issues that Scripture does not expressly address, he shares the broader biblical principles governing the believer's relationship to the world. Spiritual leaders desiring to set a healthy example for their flocks will rejoice to have Love Not the World in their personal libraries.